He’s 84 now, and has been retired since 2003 from his role as pastor of a United Methodist Church in northern California, but the Rev. Phillip Lawson vividly remembers all the trouble he stirred up in Kansas City in 1970 by speaking out against the Vietnam War. He went to Hanoi and, in a radio broadcast later made available in the U.S., told black American soldiers in Vietnam to lay down their arms so they wouldn’t commit war crimes because, “Very frankly, you know that what you are doing is criminal. … Black brothers, the real war for independence, freedom and justice is being fought in the U.S.” He got a bit of applause for that, but the response was mostly fury. In a recent phone interview, I asked Lawson whether, if circumstances were similar today, he’d do and say the same thing. While in Kansas City, Lawson served as pastor of St. James United Methodist Church and headed up a now-defunct organization, the Methodist Inner-City Parish. He took lots of flak for his relentless denunciation of the war. But, he was far from the only religious leader here who railed against that enormously divisive conflict and worked through various ad hoc organizations, with such long and sincere names as the Kansas City Emergency Committee of Clergy Concerned About Peace in Vietnam. Kansas City’s clergy, and eventually many people in the pews, protested the war, though there also was criticism from faith communities of anti-war activists, whom some critics advised to love or leave America. The Rev. Robert Meneilly, founding pastor of Village Presbyterian Church, preached that churches were “criminally silent” for not opposing the war (and lost a few members because of his words). Beyond that, he went to the Paris peace talks between the U.S. and Vietnam, as part of the Citizens Conference on Ending the War, a coalition of some 50 Protestant church leaders. And the late Rabbi Morris B. Margolies of Congregation Beth Shalom worked closely with the late Rev. John Swomley, a St. Paul School of Theology professor, to oppose American involvement in the war. Margolies’ son Dan and daughter Malka have kept a short video clip in which their father describes his friendship and work with Swomley. There certainly were local clergy who followed the national lead of the Rev. Billy Graham or the Rev. Carl C. McIntire as prominent supporters of the war. Graham even helped President Richard Nixon think through various policy options for winning the war. But those local clergy who spoke in favor of the fighting in Southeast Asia are difficult to find today, either because they’ve died or because their sermons were delivered to a single congregation and didn’t get wide publicity. The Rev. Dale L. Pollock, for instance, served in a Methodist ministry organization with Lawson, and resigned in anger at Lawson’s anti-war action in North Vietnam. Pollock died in 1998. Eventually religious leaders advocating peace — a practice with a long history despite the bloody wars sometimes fought because of religion — helped change public opinion here and across the nation with help from many other anti-war activists who operated out of no faith tradition at all. What Meneilly acknowledges today, however, surely is true of some other members of the clergy and lay people: It “took me longer than it should have” to see that the Vietnam War was an unjust, immoral undertaking that had to be opposed if he was to be true to his theology. A good example of that is the Rev. W. Paul Jones — then a United Methodist clergyman and professor at St. Paul School of Theology — and today a Catholic priest and Trappist monk. Male religious leaders were not alone in expressing opposition to the Vietnam War. As for Lawson, the pace of life today has slowed some, but he continues to be just as passionate about various issues. Today he’s part of the National Council of Elders that promotes the thinking and work of the late Rev. Martin Luther King Jr., including King’s eventual public opposition to the Vietnam War. 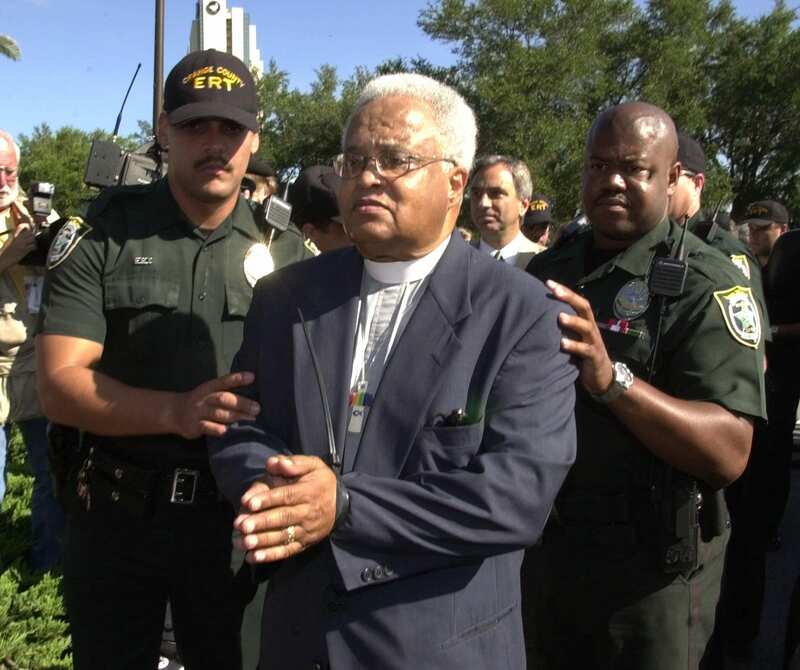 Lawson, his brother, civil rights leader James Lawson, and others organized NCOE to continue shining a spotlight on what they think is still wrong in America. In Christian circles, this is called using one’s prophetic voice — not to predict the future but to point out what’s broken, what’s immoral, what’s breaking God’s heart. The anti-war clergy and their followers in the Vietnam War era helped Americans understand that government officials, as some later admitted, were telling them lie after lie about the war. It was work the clergy had to do if they were to follow what their religions taught them. And having made a difference in that way then, most of them still alive don’t stay silent either even now. 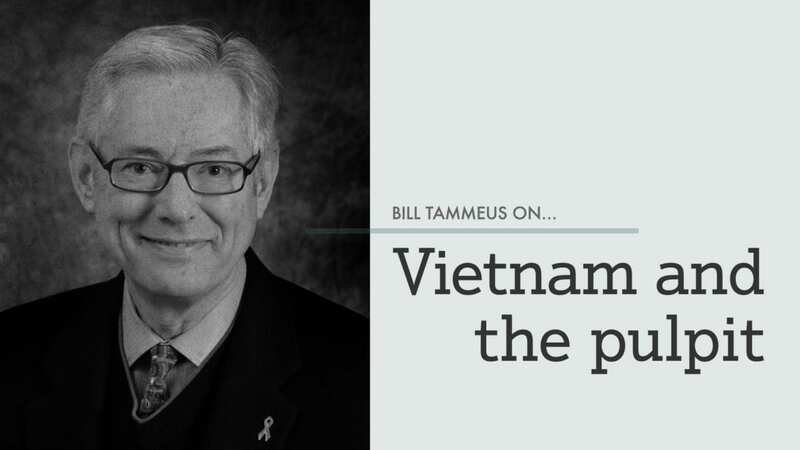 — This column is part of Flatland and KCPT’s local engagement and reporting around the broadcast of a new, 18-hour documentary series “The Vietnam War” from Ken Burns and Lynn Novick coming this September. The Vietnam War affected the lives of numerous Kansas Citians including veterans, civilians, activists and refugees. We hope you’ll share your own story and perspectives on the war and its impact with us here.